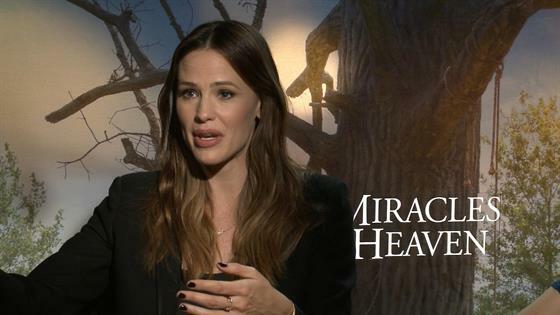 Jennifer Garner Says the "World Is a Complicated Place"
Jennifer Garner accepts that bad things happen to good people. In her new movie, Miracles From Heaven, she plays Christy Beam, the real-life mom of a 10-year-old girl named Anna who was diagnosed with a fatal and incurable digestive disease. At one point in the film, Christy loses faith in God and stops going to church. In the end, Anna is suddenly cured after she says she spoke to God during a freak accident left her unharmed after falling three stories to the bottom of a hollow tree. Garner, herself, has never lost faith. "You can't expect the world just to be good," Garner told me this weekend while promoting the movie. "You can't have faith if only good things are happening in the world. That's the whole point. You have to dig deeper to rely on something." She explained further, "The world is a complicated place…The world is full of extreme views and complications and it's driven by all kinds of things out of our control." 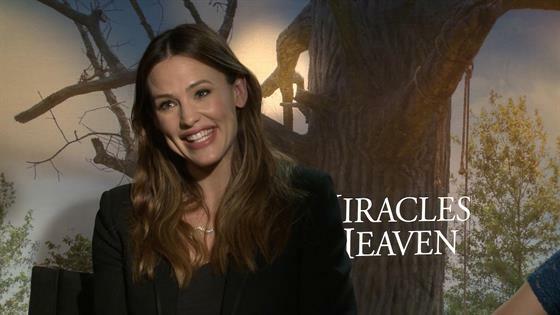 Have Jennifer Garner's Kids Seen Her Bedtime Story Video? Miracles From Heaven has inspired Garner to attend church services with her and Ben Affleck's three kids like she did when she was growing up in West Virginia. "I hadn't been participating in giving them some kind of ground under them in the way that my parents had done for me,' she said. "I just expected them to have it because I do." One thing she won 't be doing in front of the kids—cursing. A video of Garner reading Go the F--k to Sleep during her photo shoot for Vanity Fair recently went viral. She said she hopes the kids "never" see the video. "That would not be OK with me," Garner said. But then she admitted, "I can go through phases in life where I have a potty mouth but then I clean it back up because I really don't like to hear it so much." Miracles From Heaven is in theaters on March 16. Garner also weighed in the possibility of an Alias reunion. Click the video to below to hear what she had to say. PHOTOS: Movie Premieres: Red Carpets and Parties!